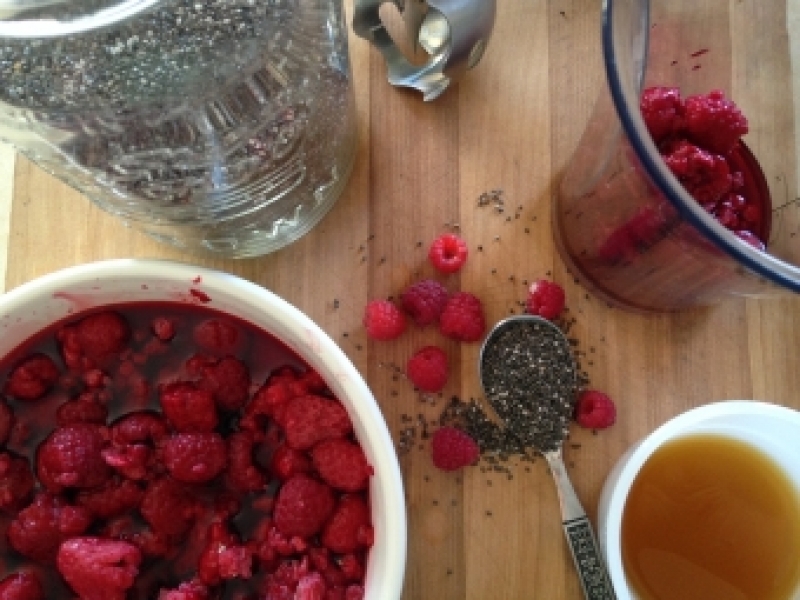 Mash some or all of berries using a fork, potato masher, blender or food processor until desired consistency. Add remaining ingredients; stir well until everything is incorporated. If you left some berries aside stir them in now. Transfer jam to a glass jar, cover, and place in fridge for at least 1 hour to set up. You can use Sucanat or coconut palm sugar ~ either of them must be dissolved into liquid before adding. Chia seeds can rapidly absorb a large amount of liquid—up to 12 times their volume in 10 min.